If you BELIEVE in yourself, others will BELIEVE in you too. Let me teach you how to BELIEVE in yourself! Week 7 - E. empowerment --so you can be your most CONFIDENT SELF! As a registered student, you will also have access to the recorded versions, if you are unable to attend. Learn from the comfort of your own home and start living your life with greater self-awareness and more confidence…you don’t want to miss out on this powerful online program! "I am really happy that I invested in doing this program with you. 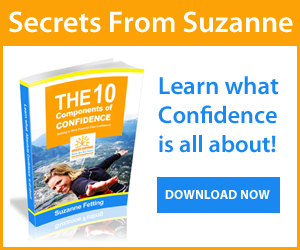 You shared so much more information than I thought you were, there is an enormous amount of contributing factors that go into ones confidence, which until taking your program, I was completely unaware of. I feel so much more aware now. You made each class a fun experience, it felt like I was in the room with you! After spending just 7 weeks learning all about self confidence I can honestly say that I am now a different person. I understand WHY I was behaving the way I was before and what all of my limitations were that have been holding me back my whole entire life. I feel empowered with knowledge and self-confidence. Thank You Suzanne." "Thank you very much for sharing so much of your wisdom throughout the entire online coaching program. Each class I felt like I learned so many new things and couldn't believe that there was even more to learn each and every week. I could see that you spent a lot of time putting the content of the classes together and you really made sure that we were given a lot of information to help with understanding and building confidence. 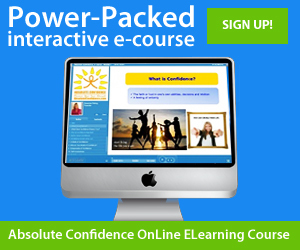 The exercises and worksheets were very helpful and insightful."